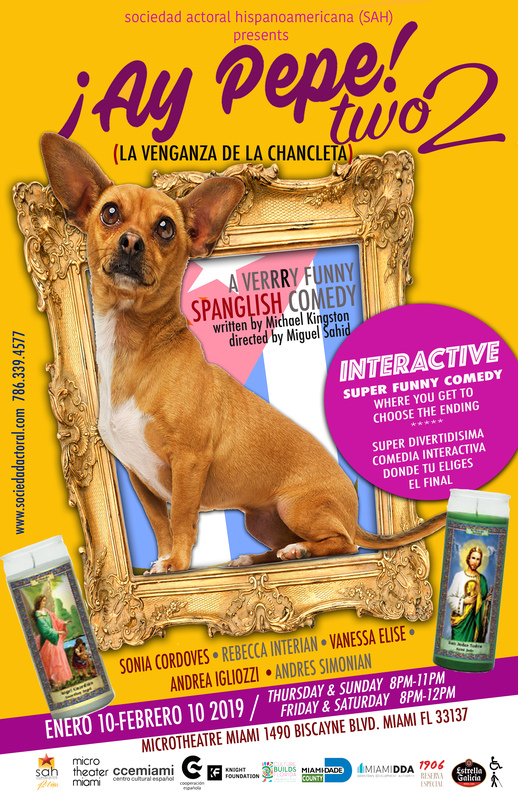 Synopsis: A Chihuahua, a drama queen, and the power of a chancleta! The saga continues with this hilarious spoof on the daily shenanigans in a latino household!! Ay Pepe Too 2, is an interactive comedy where the audience gets to choose the ending! Happy Hour todos los jueves con cerveza Estrella de Galicia a $3.00.